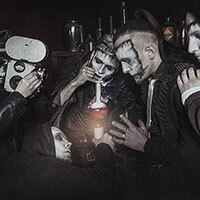 Poland’s Vesania, the symphonic black metal act that features current and former members of Behemoth, Dimmu Borgir, Vader, and Decapitated, have been toiling for over a decade. Their roots are firmly planted in Poland, but their reach has been expanding throughout the years across the globe. The collective experience of the members of the band speaks volumes of their knowledge and ability to craft world class albums. 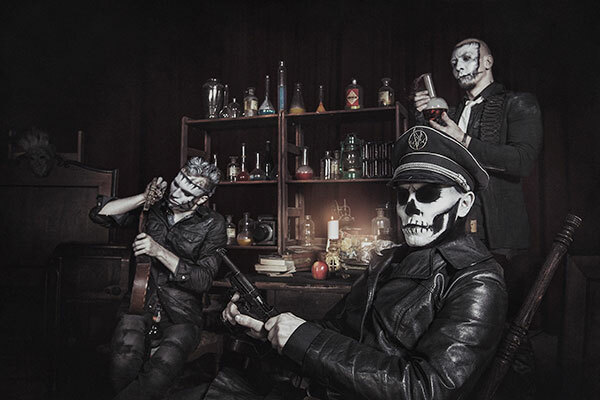 The band’s fourth full-length album, and first since 2007, is finally scheduled for release at the end of 2014. There’s no singular unifying lyrical concept on “Deus Ex Machina“, but there’s a main theme, a coherent and deliberate thread running from the title through the music. The title of the album is a term from ancient Greek tragedy and translates to “god from the machine”. The idea for the concept was that a machine, typically a rudimentary crane, would lower a thespian playing god onto the stage to solve the seemingly unsolvable conflict in the plot. In modern entertainment, the term has evolved to primarily refer to a cheap solution in a poorly written script or novel. 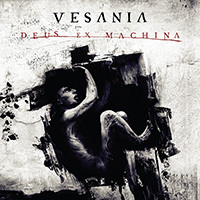 Alternatively, Vesania‘s “Deus Ex Machina” is a call for any kind of help or intervention because all of the lyrics on the album are hopeless and show characters in situations that leaves them powerless. One of the tracks tells the story of the lowering of an actor, supposedly the god, onto a stage before a corrupted man searching for answers. Instead, that actor is lowered by a noose around their neck, having already died. The lyrics paint a drab picture, particularly when paired with equally bleak music. Recording was completed at Sound Division Studio, with mastering by Scott Hull at Visceralsound Studios. 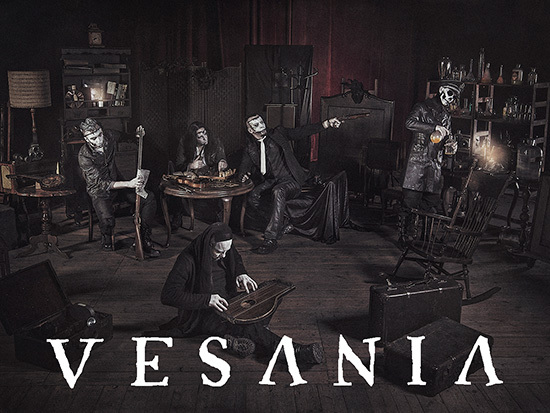 Vesania was formed at the end of 1997 by Orion (guitars, vocals), Daray (drums/percussion), and Heinrich (bass). By the end of 1998, the band had recorded 15 minutes of music, added Annahvahr on guitars/vocals, and Hatrah on keyboards for the first recording. By 2000, Siegmar joined the band as the keymaster. This lineup would form the first live incarnation of the band. 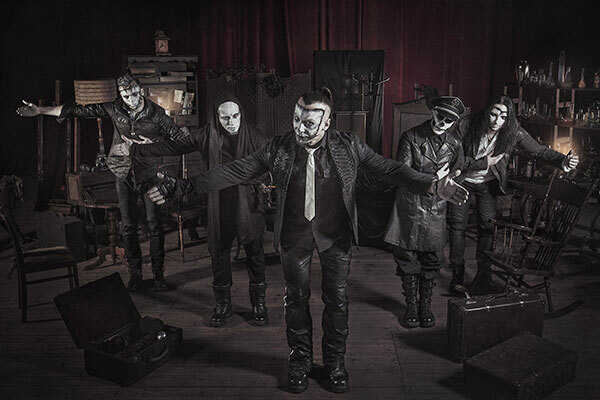 Leading up to their debut CD, “Firefrost Arcanum“, Vesania performed live throughout Poland. In 2002, the band’s 1998 material was released as part of a split, “Moonastray“, by Odium Records. 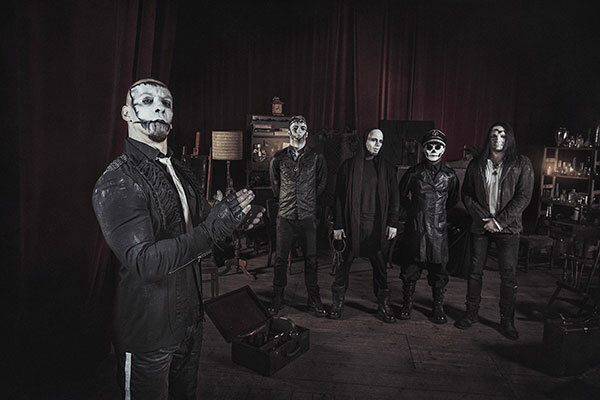 Recording for the debut album was unexpectedly prolonged, and ultimately led to the release of “Firefrost Arcanum” on Empire Records in 2003 in Poland. 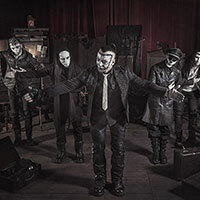 Crash Music eventually released the album throughout the rest of Europe. 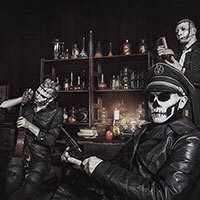 Before the touring started, Annahvahr left the band and was replaced with session musician Mortifer (RIP). Later that year, Vesania performed as part of Metalmania Festival 2003 with Sameal and Marduk, and then embarked on the Blitzkrieg Tour 2003 with Vader. 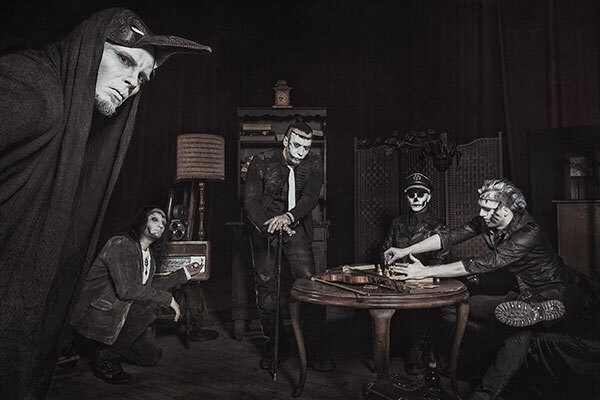 In 2004, Orion began to see Behemoth become more active, and Daray joined Vader. 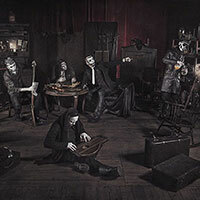 Despite having joined massively successful bands, Vesania pushed forward to record “God the Lux“, their second album, at Hendrix Studio (Behemoth, Azarath) in Lublin, Poland. Recording wouldn’t be completed until 2005/2006 with Hertz Studio (Vader, Decapitated) in Bialystok. Napalm Records was brought on board to release the album worldwide, with Empire Records still serving as the band’s label in their home country. Vesania would go on to tour with Cryptopsy, Aborted, Grave, Gojira, and more. Valeo (from Sammath Naur) was brought on board to handle guitars alongside Orion during those tours. They toured the continent extensively, including Russia, and would play close to 100 shows within a year. Vesania rehearsed, wrote, and arranged their third album, “Distractive Killusions,” in early 2007. 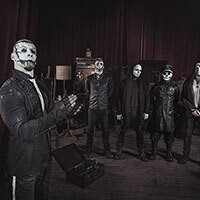 The album was recorded, mixed, and mastered at Studio X with Szymon Czeck, and then released by Napalm Records by the end of the year. Commitments outside of Vesania would prevent the band from completing any of the touring they had wanted to do in support of the album. A decision was reach to put the band on hold indefinitely. Then in 2008, Daray left Vader and joined Dimmu Borgir. Additionally, bassist Heinrich joined Decapitated. By 2010, Vesania would once again begin rehearsing for tours in Europe. They would go on to play approximately 30 shows throughout the continent. After the shows, Heinrich departed Decapitated to focus on his sound engineering and recording studio work. 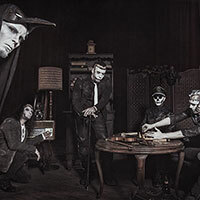 Daray joined Hunter, one of Poland’s biggest rock/metal acts. 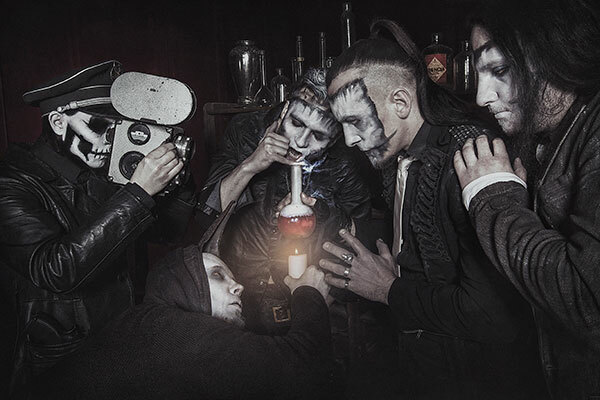 After an extended break, during which both Behemoth and Dimmu Borgir tours kept Orion and Daray occupied, the band began plotting their return. Rehearsing and recording took place between 2012 and 2014, a significant length of time by any band’s standards, but would be well worth the wait. 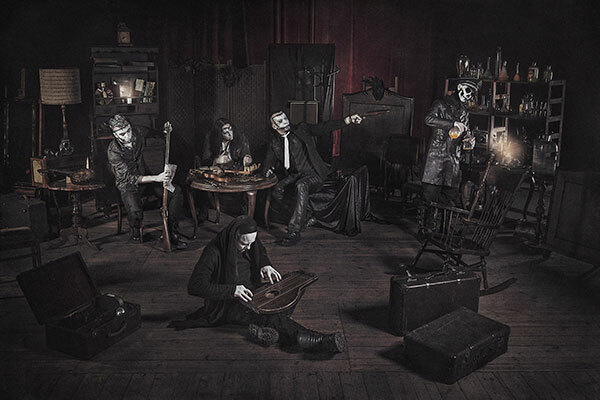 In 2014, Vesania announced a new partnership with Metal Blade Records for a worldwide release of “Deus Ex Machina.” The album’s release in October 2014 will be followed by Vesania live shows and touring.